Benjamin Chase Harper was born on 28 October 1969, in Pomono, California USA, of Cherokee, Jewish, and African-American descent. He is an instrumentalist, singer, and songwriter, perhaps best known for playing a mix of genres, and noted for his guitar playing skills, live performances, and vocal ability. All of his efforts have helped put his net worth to where it is today. 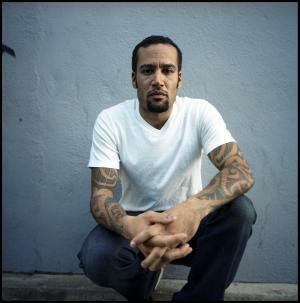 How rich is Ben Harper? As of early-2017, sources estimate a net worth that is at $10 million, mostly earned through a successful career in the music industry. He’s, released 12 studio albums, winning three Grammy Awards, and has toured around the world, As he continues his career, it is expected that his wealth will increase. At a young age, Ben was already playing the guitar, as his grandparents owned a music store which eventually helped him get established in blues as well as folk music. In 1978, he attended a performance by Bob Marley which featured Peter Tosh, and it would greatly influence his music career. He played his first gig at 12 years of age, then.during the 1980s he started playing the slide guitar which considerably improved his craft. He was invited by Taj Mahal to tour, and helped record the album “Follow the Drinking Gourd” in 1990. They toured around Hawaii, and two years later, Harper would help release the LP called “Pleasure and Pain”. Thanks to the release, he was given a record deal with Virgin Records, and would soon release his debut album entitled “Welcome to the Cruel World”. One of his first large performances was held in France, and soon after his second album called “Fight for Your Mind” was released. A lot of his music became popular in Europe and Australia, then he started gaining popularity all over the world and his net worth also increased significantly. He was named as the French Rolling Stone magazine’s Artist of the Year in 2003. In 2002, Ben became part of the documentary “Standing in the Shadows of Motown’ and was then featured in the Toots and the Maytals album called “True Love” – in 2004, the album would win a Grammy Award. During the same year, he participated in the Vote for Change concert tour before working on the double album “Both Sides of the Gun” released in 2006. In 2010, he formed a band called Fistful of Mercy and released a record the same year called “As I Call You Down”. His next solo album would be called “Give Till It’s Gone” and he then released a collaboration album called “Get Up!” One of his recent endeavors is the new single entitled “Call It What it Is”, which is also included on his latest album of the same name. All of these continued endeavors help to constantly increase his net worth. For his personal life, it is known that Ben married Joanna in 1996, and they had two children, before divorcing in 2001. He then married actress Laura Dern in 2005 and they also had two children, but in 2013 divorced. Ben married social advocate Jaclyn Matfus in 2015. Harper has also become known for his activism work, being a part of the No Nukes Group. It is known that Harper is an avid skateboarder, and has collaborated with professional skateboarder Rodney Mullen. He also owns his own warehouse for skateboarding. 1 I think EPs are the future of rock'n'roll. It makes you fine-tune and hone down your craft. Five songs for five bucks to me is the new math. I think people would be more willing and excited to spend five bucks, and a lot of people don't make ten grand songs. Five will really give you a chance to shine brighter. And maybe I'll do five twice a year. 1 Ex-son-in-law of Bruce Dern and Diane Ladd. 2 Two brothers: Joel and Peter Harper. 3 He is African-American (black father) & Caucasian (white mother) - Ellen Verdries Chase Harper. 4 Has two children with his ex-wife, son Charles James (C.J.) and daughter Harris. 5 Daughter, Jaya, with Laura Dern, born in Los Angeles on 28 November 2004. 6 In fall of 2004, he participated in the Vote for Change concert tour organized to encourage the defeat of George W. Bush in the U.S. presidential election. 7 Announced engagement to Laura Dern in August 2004. State of Play 2009 performer: "Please Don't Talk About Murder While I'm Eating" / writer: "Please Don't Talk About Murder While I'm Eating"
Daylight Robbery 2008 performer: "Diamonds On The Inside" / writer: "Diamonds On The Inside"
Wetlands Preserved: The Story of an Activist Nightclub 2008 Documentary performer: "People Lead" / writer: "People Lead"
Henry Poole Is Here 2008 performer: "Morning Yearning" / writer: "Morning Yearning"
Arctic Tale 2007 Documentary performer: "Happy ever after in your eyes" / writer: "Happy ever after in your eyes"
Ultimate Sessions 2006 Video documentary performer: "Whipping Boy"
Akeelah and the Bee 2006 performer: "Everything" / writer: "Everything"
Coachella 2006 Video documentary performer: "Forgiven" / writer: "Forgiven"
Trust the Man 2005 performer: "Everything" / writer: "Everything"
Beth - Palau de la Música Catalana 2004 Video writer: "Walk Away"
Searching for Debra Winger 2002 Documentary "The Three Of Us" / performer: "The Three Of Us"
Standing in the Shadows of Motown 2002 Documentary performer: "Ain't Too Proud To Beg", "I Heard It Through the Grapevine"
I Am Sam 2001 performer: "Strawberry Fields Forever"
That's Entertainment: The Jam Now and Then 1999 TV Movie documentary performer: "The Modern World"
Battlefield Hardline 2015 Video Game performer: "I Ride At Dawn" / writer: "I Ride At Dawn"
The Girl 2012/I performer: "Waiting On An Angel" / writer: "Waiting On An Angel"
Wretches & Jabberers 2011 Documentary performer: "More Like You"
Closer to the Dream 2010 Documentary "Better Way"
The Fighter 2010/I performer: "Glory & Consequence" / writer: "Glory & Consequence"
Les petits mouchoirs 2010 performer: "Amen Omen" / writer: "Amen Omen"